Following ten successful conferences in Austria and two inspiring conferences in Singapore and Hong Kong, we opened a new forum in Asia for exchange of ideas, networking, and collaboration in the field of E-Democracy and Open Government. » Find here all our blogposts and reviews from the CeDEM Asia 2016 in Daegue. CeDEM Asia 2016 was hosted in Daegu (South Korea) from 7-9th December 2016. A lot of people joined our conference. Find here a statements from Rajit Hewagama, Ben Huffman, Astik Sinha, Pheaktra Neth, Tetsuro Kobayashi, Manuela Hartwig, Jeanette Orminski, Rich Ling, Morten Meyerhoff Nielsen, Ivo Babaja, Heike Hermans, Sayasat Nurbek, Robert Krimmer, Marko Skoric and Peter Parycek. 5 questions to Efthimios Tambouris. Tambouris is from the Applied Informatics Department at University of Macedonia (GR). 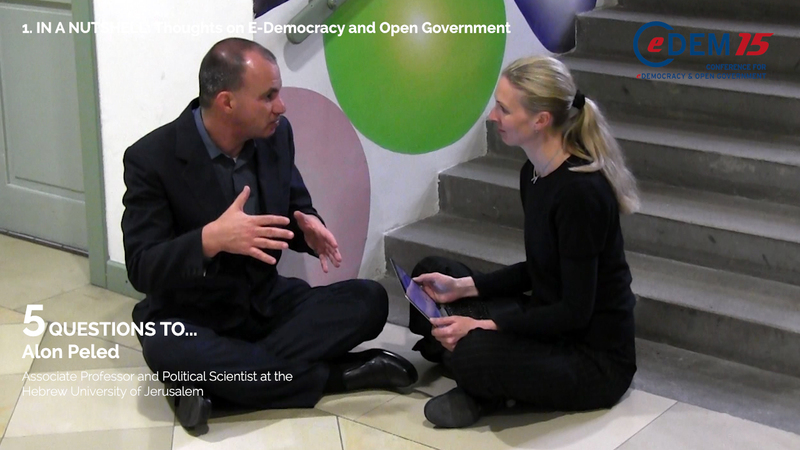 He held his keynote “Multidimensional Open Government Data” at the CeDEM16 conference. Your thoughts on e-democracy and open government in a nutshell? Name a good practice in e-democracy or open government? Name a bad practice in e-democracy or open government? What will be discussing at CeDEM in 2016? 5 questions to Robert Krimmer. Krimmer is Professor of Electronic Governance Tallinn University of Technology (EE). He held his keynote “Is there an Estonian E-Democracy? Co-Creation in the Digital State” at the CeDEM16 conference. 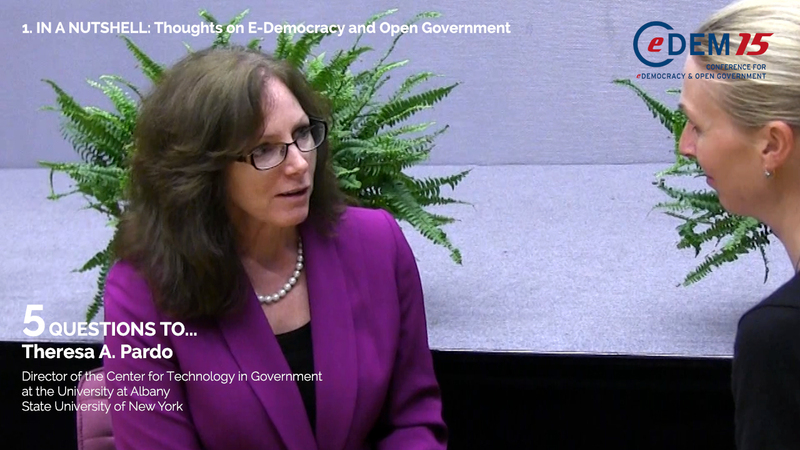 During our CeDEM15 conference, Noella Edelmann asked Theresa A. Pardo from the Center for Technology in Government at the University at Albany 5 questions around Open Government and E-Democracy.